Be the first to share your favorite memory, photo or story of Kerstie. This memorial page is dedicated for family, friends and future generations to celebrate the life of their loved one. 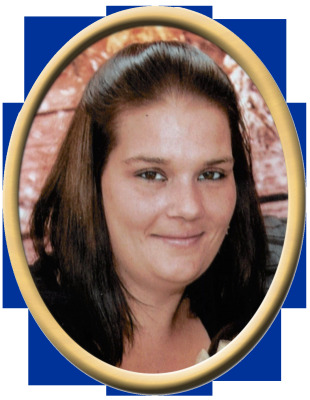 Kerstie Nichole Martin Ray, 28, of Clarksburg, West Virginia passed away Monday at her home. She was preceded in death by her mother, Christina Suzanne Martin, two-grandmothers, Lagratha V. Wright, and, Margie L. Martin. Surviving are father, Steven O. Martin, Sr., brother, Mr. & Mrs. Steven O.J. Martin, four children, Emma, Jaxson, Sandra and Katalena, and her Partner Bobby G. Ray III, two-grandfathers, William J. Wright, and Rev. James M. Martin, Gina Walston (a surrogate mother), Sandra Rigsby (a mother-n-law), also with a host of loving aunts, uncles, nieces, nephews, and cousins. Kerstie was a loving daughter, mother, and wife. She will be missed by all who loved and knew her. "Email Address" would like to share the life celebration of Kerstie Nichole Medley. Click on the "link" to go to share a favorite memory or leave a condolence message for the family.